Cylindrical Roller bearings are designed to provide large thrust capacities for a given envelope. 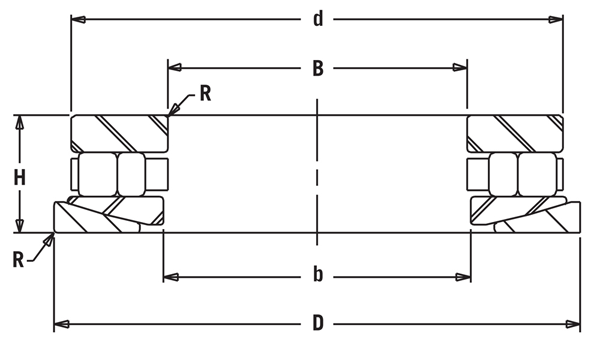 When compared with ball thrust bearings, the increase in thrust capacity is much greater. These bearings consist of two hardened and precision ground plates, a top and bottom, a milled brass cage, precision ground rollers and a cage band used to retain the rollers. The inside and outside diameters of the thrust plates are precision ground for proper mounting. The TP roller thrust bearings are available in a metric ISO series and an inch series, both series being industry interchangeable. 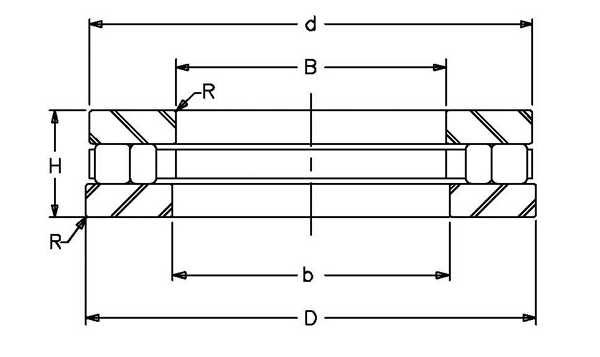 The ATP self-aligning roller thrust is available in an inch series only. This spherically ground bottom plate of the ATP bearing sits against an alignment plate to accommodate initial misalignment but is not recommended for dynamics misalignment. Applications include extruders, screw presses, rock crushers, coal pulverizing, lathe tail stocks and oilfield equipment.